The Chicago Bulls are one of the most exciting teams to watch in the Eastern Conference. They’re certainly one of the most talented teams and can compete with the best competition in the league. Whether you’re a Bulls diehard or casual fan you don’t need to worry about missing a game if you cut cable. It’s quite easy to watch Chicago Bulls online without needing to pay for that expensive cable bill. The below guide goes into all the details you’ll need to watch the Bulls without cable all season long. There are a few options on the market, so you just need to decide which one works best for you. Keep reading to learn more! You can watch Bulls games online using the Hulu Live streaming service. This is a newer service, and if you have ever watched Hulu’s on-demand service, it comes with your subscription to Hulu Live. There is one package available offering live television. It starts at just $40 per month for over 50 channels. You don’t have to sign any contracts or pay any additional fees. You can cancel Hulu Live at any time. Movie channels like HBO can be added to your package for a small additional fee per month. You also get 50 hours of storage thanks to the cloud-based DVR that comes with your subscription. Learn more about channel specifics in the Hulu Live channel list. Hulu Live is one of the best options if you want to watch the NBA through a streaming service. You will have every single channel the NBA will be airing games on with the exception of NBA TV. You can also watch Chicago Bulls games on ESPN and TNT. Depending on where you live, ABC may be available in livestream, but if it isn’t you can watch every game that airs on ABC live on the WatchESPN app through ESPN3. For those living in the greater Chicago area, Hulu Live will also allow you to watch every game on NBC Sports Chicago. Our Hulu review has more details. Stream on Apple TV, Fire TV, mobile devices, Roku, some smart TVs, etc. Try Hulu Live free for 1-week! Don’t forget the Hulu Live free trial, which will allow you to watch Chicago Bulls streaming free. Sling TV, a streaming service from Dish Network, is another option to watch Bulls game online. The service costs $25 per month for the Sling Orange package with about 30 channels to live stream. You can test out Sling TV (review) during a 7-day free trial, so you can easily watch a Chicago Bulls game streaming free! If you decide to sign up, make sure you check out Sling TV’s current streaming device deals. They often give discounts on streaming devices, like Roku, that you can use to watch a Chicago Bulls game live stream right on your TV! Sling Orange features several channels you can watch NBA games on like ESPN, ESPN2, ESPN3 (for ABC simulcast), TBS, and TNT. You can also watch games on NBA TV by signing up for the Sports Extra add-on package for $5 more per month. NBC Sports Chicago is also available in Sling TV’s Blue package, which is a great way to watch Bulls games online all during the regular season. You can watch Sling TV on computers, Roku, Chromecast, Apple TV, and more. Stream on Roku, Fire TV, mobile devices, computers, Chromecast, etc. If you are a sports fan, you definitely want to check out fuboTV. It offers more sports channels than any other streaming service. While you will not get ESPN or ABC, you will get all of the other channels that allow you to watch Chicago Bulls online. If you are local to Chicago you will have access to NBC Sports Chicago, and across the country you will have access to NBA TV and TNT. There is just one package offering over 70 channels, and you will pay just $45 a month. If you are not sure whether you want fuboTV or not, you can test out the service for a week. Additionally, the first month of service is discounted, so you pay $40 for that first month of service. You will receive storage in the form of a cloud-based DVR. Sports fans love fuboTV, so much because beyond all of the channels you can use to watch Chicago Bulls basketball online, you have access to watch even more sports. This includes international sports, Olympic sports, and more! Want to know more about the fuboTV service? Check out our fuboTV review! DIRECTV NOW is one of the best options on the market to watch a Chicago Bulls game live stream. One of the best parts of the service is NBC Sports Chicago is available to live stream in some packages. This means if you’re in the broadcast area you can watch Bulls game online throughout the entire season on the local broadcast. You can watch games on the national broadcasts like the NBA games on TNT through DIRECTV NOW, as well. Other channels with NBA games like ESPN, ESPN2, and NBA TV are also available. Also, any games on ABC will be simulcast on ESPN3, which can be accessed through WatchESPN with your DIRECTV NOW login. WatchESPN is just one of the TV Everywhere apps that you’ll be able to use. TV Everywhere apps will give you the chance to find even more live and on-demand content. You can also find more to watch in the on-demand library. You can watch DIRECTV NOW on most devices including Apple TV, Roku, Chromecast, and many other devices. Like other streaming services, DIRECTV NOW offers a cloud-based DVR in your package. Stream on most devices – computers, mobile, Apple TV, Roku, Fire TV, etc. Find out more about DIRECTV NOW in our review of the service and start to watch Chicago Bulls online free by beginning a free trial of the service now! PlayStation Vue is just one more streaming service on the market that’ll let you watch Chicago Bulls online. You can watch plenty of national games including games on the ESPN family of networks, as well as simulcast games on ESPN3 through WatchESPN. TNT and NBA TV are also available. The starting price of PlayStation Vue is $45 per month. You get to watch a Chicago Bulls game live stream alongside around 50 other channels. Learn more in our PlayStation Vue review! PS Vue also has an on-demand library in case you miss your favorite show. Another option is the cloud-based DVR. Just record what you want and watch it when you’re ready. DVR profiles can even be set up to allow everyone in the family to have their own DVR. You can stream on mobile, Chromecast, Apple TV, Roku, Fire TV, and more. You’ll be able to stream on up to five devices at the same time. Watch on Roku, mobile devices, Apple TV, etc. The NBA League Pass is another service to watch the Bulls game online. Anyone outside of the Bulls broadcast area can watch every game live with a subscription. If you’re in the area, you’ll likely be blacked out, but can still watch every other NBA game. 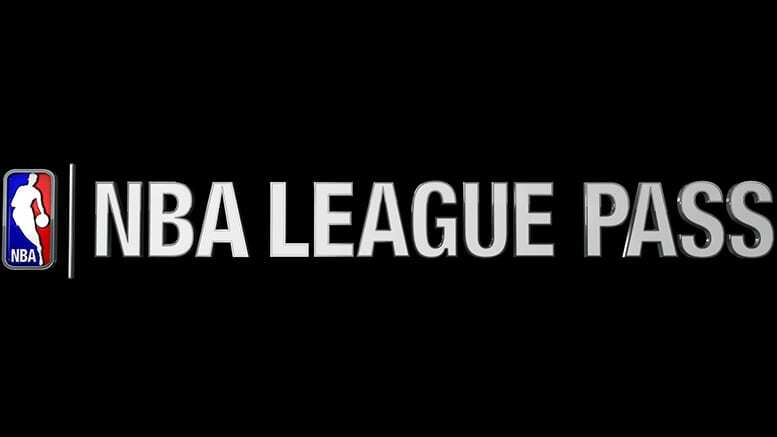 You can find out details on the different packages being offered in our guide to NBA League Pass. If there are other sports you want to stream, check out our full sports guide for cable cutters. Or, you can learn how to watch plenty of other teams in our NBA streaming guide.